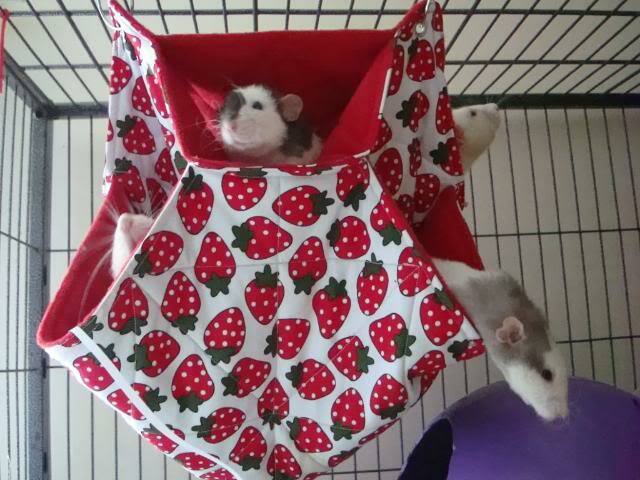 ...to the home of snuggly rattie cage comforts, lovingly handmade to your specifications! 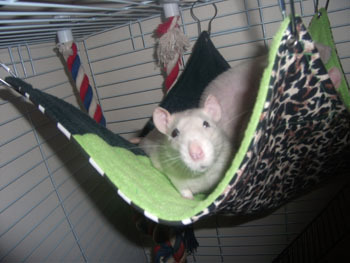 All items are crafted with a double layer of fleece and patterned cotton and quilted all over so they feel nice and cosy (and to help prevent burrowing)! To order: EMail me with your choice of hammock, cotton, fleece and method of posting required, and I'll send you an invoice. In a hurry? Premades are often available for dispatch - so stop by often for the latest items!" 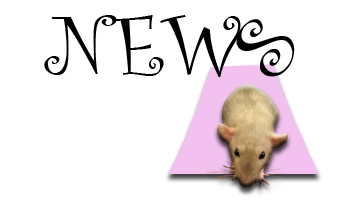 NEW COTTON, TUFF STUFF & FLEECE FABRICS! 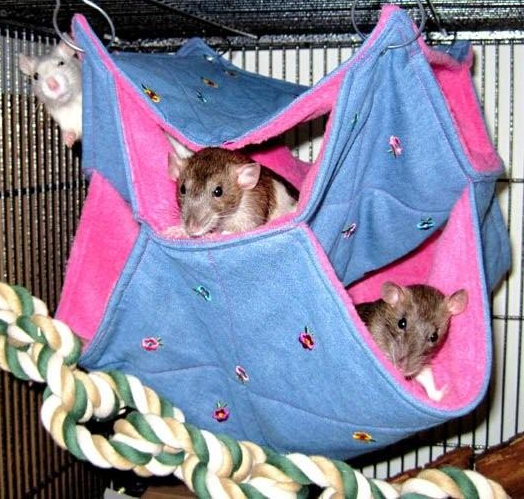 NEW MISH-MASH HAMMOCK DEALS: 3 FOR £18.50 (Mish-Mash Snuggler/4-Door Standard/Double Decker)! Mish-Mash Classics - 3 for £12! instead of the usual two! EMail me for further details and prices.